You will be able to carry on most regular classroom activities completely in ASL. You will be able to use ASL accurately and effectively to prepare and deliver formal and informal presentations about yourself and Deaf culture. You will be able to initiate and correctly respond to basic conversation about yourself and others in ASL. You will be able to recognize, discuss and describe common activities in various tenses in ASL.You will be able to follow along with, describe, gloss, and create simple stories in ASL. 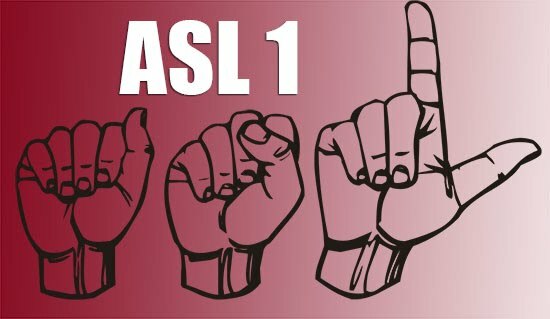 You will be able to read and comprehend Deaf Cultural and Deaf Historical text as it relates to ASL. You will be able to write an analysis of Deaf Culture/Deaf History and compare and contrast Deaf and Hearing cultural norms as described in the text.